This blog is designed to give a brief introduction to the theory of triaxial testing for a technician new to this test. This includes why the test is performed and how it is performed. The paper will look at systems for triaxial tests, the stages of a triaxial test, some of the theory behind triaxial tests and also automation of the test process. 2 Triaxial testing what is it? 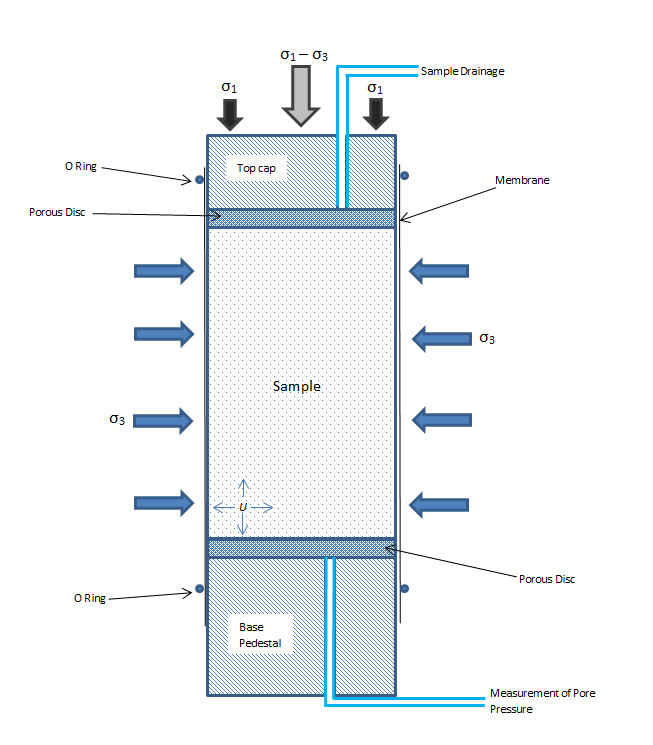 A typical triaxial test involves confining a cylindrical soil or rock specimen in a pressurised cell to simulate a stress condition and then shearing to failure, in order to determine the shear strength properties of the sample. Most triaxial tests are performed on high quality undisturbed specimens. The samples normally range from 38 mm to 100 mm samples, although samples considerably larger can be tested with the correct equipment. The test specimen most commonly has a height to diameter ratio of 2:1. The sample will usually be saturated, then consolidated and finally sheared, most commonly only in compression - but extension tests may be undertaken with the correct equipment. During the test the sample is subjected to stress conditions that attempt to simulate the in-situ stresses. 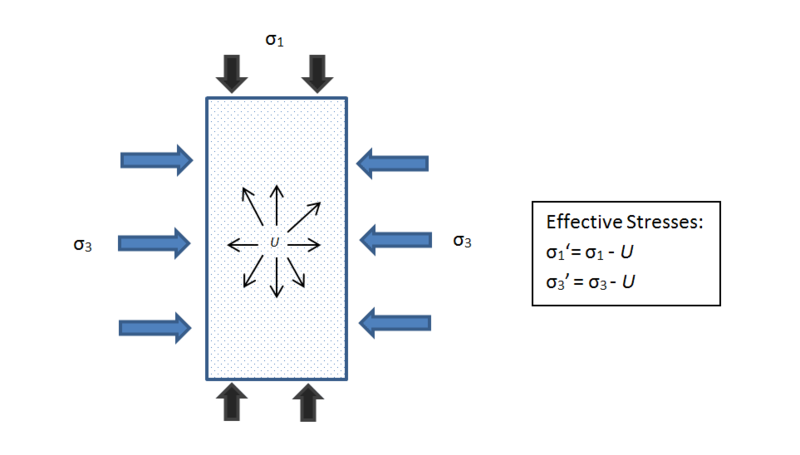 Figure 1 shows the stress conditions applied to a sample during a typical test; Figure 2 shows the basic principles on effective stresses. Triaxial tests are one of the most widely performed tests in a geotechnical laboratory. The advantages of the test over other test methods used in the geotechnical laboratory used to determine shear strength (such as direct shear) is that specimen drainage can be controlled and pore pressure can be measured. The triaxial test enables parameters such as cohesion (c’), internal angle of friction (φ’) and shear strength to be determined. The triaxial test can also be used to determine other variables such as stiffness and permeability with the correct equipment. A list of some of the common engineering issues that triaxial tests can be used for can be seen in table 1, with the type of test described in the next section. It is common for UU triaxial tests to be used for short term engineering problems and CU and CD triaxials to look at long term engineering problems. UU triaxial tests are termed total stress tests and CU/CD triaxial tests are termed effective stress tests. Figure 1 shows the stresses involved with a total stress test and Figure 2 summaries the stresses in an effective stress test. b) anisotropic; the stress surrounding the sample is not equal in all directions. The tests are commonly abbreviated to CIU (Consolidated Isotropic Undrained) or CAU (Consolidated Anisotropic Undrained). In the last stage the sample is sheared to failure. UU triaxial tests commonly do not have a saturation or consolidation stage performed; the test normally only consists of a shear stage. UU triaxial tests are quick tests, taking under 30 minutes to perform. The CU and CD triaxial tests take significantly longer to perform and can take weeks or even months to complete. The CD Triaxial commonly has the longest test duration, as during the shear stage of the test, pore pressure is not allowed to build up, resulting in very low strain rates. CU triaixals are quicker to perform as PWP is allowed to increase and the excess PWP is measured throughout the shear stage. An additional test called unconfined compressive strength (UCS) can also be undertaken with a triaxial system. This shears a specimen under axial load with no confining pressure. 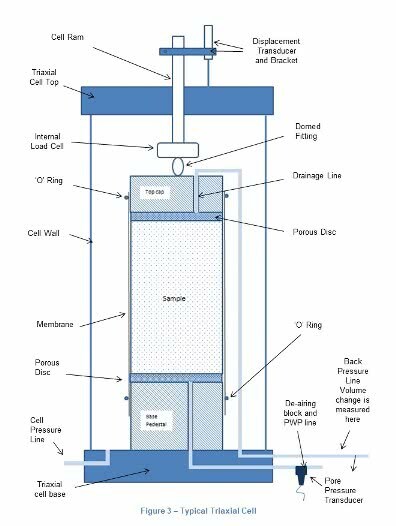 A typical triaxial cell is shown in Figure 3 of this document showing a sample setup for testing. The setup shown is used for CU and CD triaxial tests. UU triaxial test can also be undertaken with this system or a simpler cheaper system can be purchased if only UU triaxial tests are required. 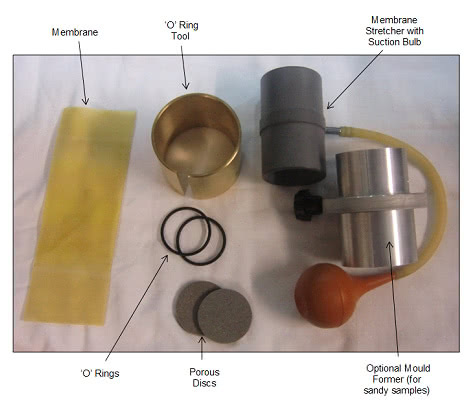 The sample is sealed inside a rubber membrane and then surround with water (cell pressure). The cell pressure is then used to apply a stress to the sample (σ3) Back pressure can be added to saturate the sample if required. The sample is axially loaded during shearing with the force measured by the load cell, the deformation measured by the displacement transducer and if required the pore pressure in the sample can be measured. Volume change of the sample is measure from the back pressure line using a volume change unit or an automatic pressure controller. Pressure Panel – This enables water and compressed air to be correctly distributed to the right equipment to undertake a triaxial test. Cell Pressure (σ3 - Confining Pressure) and Back pressure are controlled from here. A pressure gauge is included so that known pressures can be applied to the test specimen using the pressure regulators fitted to the panel. Load Frame – The load frame is used to apply deformation to the triaxial specimen. The load frame can be controlled to a high level of accuracy (these tests normally require a slow speed). Load frames come in a range of capacities, VJ Tech can supply frames from 10kN to 250kN capacity. The one in Figure 4 is a 50kN load frame and can apply loads of up to 50kN to a specimen. Air/Water Cylinders – These provide an interface between compressed air and water in your triaxial system. They contain a rubber bladder which is filled with compressed air to pressurise the water inside the cylinder, this in turn provides the pressure used in the cell and back pressure for our triaxial test. The pressure the system can apply to samples is limited by the compressor. Load Cell – The load cell or other load measuring device such as a load ring, provide the loads required to shear a triaxial specimen. Displacement transducer – This could be a mechanical dial gauge, digital dial gauge or LSCT type transducer and is used to accurately measure the deformation applied to the triaxial specimen as it is sheared. Triaxial Cell – The Triaxial cell comes in a range of sizes and pressure ratings. The cell contains the triaxial specimen and is pressurised throughout the test. Pore Pressure Transducer – In CU and CD triaxial tests, the pressures inside the sample are measured (U - Pore Pressure). This is done using a pressure transducer attached to the base of the triaxial cell. Automatic Volume Change unit – The automatic volume change unit is used in some triaxial tests to measure the volume of water going into the specimen and also the volume change of the specimen through the test. With a system like this the pressures are set manually by the technician undertaking the test. It is common for the outputs from load cell, displacement transducers and pressure transducers to be data logged in some way and data analysed using VJ Tech’s Clisp Studio software. Distribution Panel – The distribution panel is used to connect the pressure controllers to the triaxial cell. It also has the de-aired water system connected to it. It allows for the easy movement of water to the required location in the system without the need to disconnect lines. The pressure gauge on the panel is used for calibration, but is not used during testing. 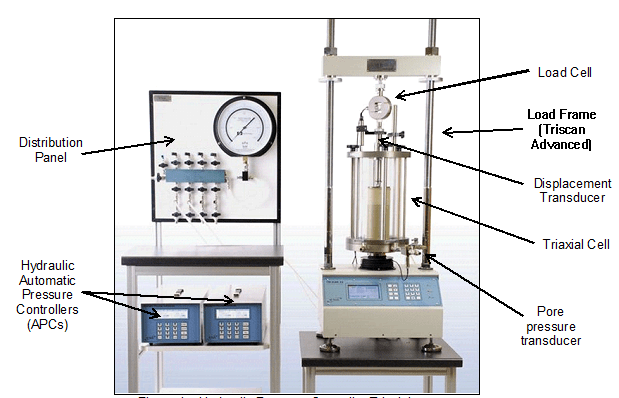 Automatic Pressure/Volume Controllers – The automatic pressure and volume controllers (APCs) are used to generate pressure for the triaxial test. They use a stepper motor to pressurise a cylinder of water to generate cell pressure (σ3 - Confining Pressure) and back pressure. No compressed air supply is required. The units are also able to measure volume change during the test. They are available in a range of capacities from 1mPa to 70mPa and a range of volumes from 200cc to 1000cc. Load Frame – The load frame is used to apply deformation to the triaxial specimen. The load frame can be controlled to a high level of accuracy. Load frames come in a range of capacities, VJ Tech can supply frames from 10kN to 250kN capacity. The one in Figure 4 is a 50kN load frame and can apply loads of up to 50kN to a specimen. The load frame will commonly have a built-in data logger to log transducer data during the test; a separate data logger can be incorporated into the system if required. Triaxial Cell – The Triaxial cell comes in a range of sizes and pressure rating. The cell contains the triaxial specimen and is pressurised throughout the test. For both CU/CD triaxial systems a de-aired water supply is also required for testing. The UU system can use a mains water supply if required. Automatic systems require a computer and software package such as VJ Tech’s Clisp Studio, to control the test and record transducer outputs. A data logger (either inbuilt or external) will be used to store transducer readings taken during the test. Sample preparation equipment will also be required, such as: sample extruder, sample moulds, membranes, ‘o’ rings, porous discs, ruler, balance and filter papers. Additional tests can also be performed with triaxial systems such as Stress Path analysis and anisotropic consolidation. Although the test procedures are not detailed in the standards above the procedures are fairly common and details can be found in either academic papers or in the Manual of Soil Laboratory Testing Vol. 2 and vol. 3. Small Strain analysis (used for stiffness analysis) using on-sample transducers measuring axial and radial deformation can also be performed. Before any triaxial test is undertaken it is very important that checks are undertaken to verify the performance of the system. Failure to do this may mean either an extended test period or a sample being destroyed and no results obtained. The following list is a suggested check list of the system before any test takes place. It is assumed the system has already been installed. Additional checks may be required depending on your local testing standard. Clean the triaxial cell, paying special attention to the base and groove holding the ‘o’ ring. Check load cell and displacement transducers are accurate. Most triaxial tests are performed on high quality undisturbed samples; local standards such as Eurocode 7 give details on what is considered to be a high quality undisturbed sample; it is important to realise that sample disturbance (from collection, transport to lab and storage) will affect the results obtained from a triaxial test. Remoulded specimens can be tested and preparation procedures can be found in relevant standards and texts on this subject. Samples are normally prepared to give a sample height to diameter ratio of 2:1. The sample ends are trimmed to ensure they are level and flat. This is commonly and most easily done using a sample mould or former for the diameter of sample that is being tested and a straight edge. The sample is then weighed so the bulk density can be determined and measured (both length and diameter) so the volume and area can be calculated. It is critical that the sample dimensions are accurate so that stress and strain being applied to the specimen during testing can be calculated accurately. 1. Use a new membrane and make sure there are no holes in the membrane. 2. Ensure the porous discs are clean and not clogged with soil particles. 3. 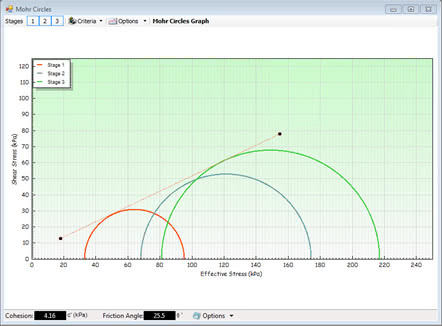 Place the ‘o’ rings using an ‘o’ ring tool, this will minimise sample disturbance. 4. Clean any loose material from the sample as you go. This loose material can cause leaks. 5. Take care not to hit the sample when placing the top of the cell over the sample. During this preparation process care must be taken to limit sample disturbance. Sample disturbance can significantly affect the results obtained from the test. Effective stress triaxials (CU and CD tests) require that the sample is saturated for testing. The reason for this is so that reliable measurements of pore pressure can be made. This is made possible by removing the air from the voids inside the sample. The saturation process can be performed in a number of ways details of which can be found in the available Standards and text books. The most common though is incremental increase of cell and back pressure into the sample. This process gradually increases both the cell and back pressure so to dissolve any air that is in the voids of the soil sample. During this process the pore pressure coefficient B is calculated to determine the degree of saturation. Figure 7 shows the process that happens during a B check to determine the level of saturation. Most standards state that a B value greater than 0.95 indicates that a sample is sufficiently saturated. The B value is calculated using the equation in figure 9. After saturation, the specimen is normally consolidated to a stress condition representative of its in-situ condition. The consolidation is normally isotropic (the stresses applied vertically and horizontally to the sample are the same). In effective stress tests the sample will be consolidated to an effective pressure. This is the difference between the confining (cell) pressure and the back pressure. If this is compared to the equation in Figure 2 defining effective stress you will see this is incorrect. At this point in the test pore pressure is replaced by back pressure to define our effective stress, to help simplify setup of this phase of the test. When the confining pressure and back pressure have been set to the correct values, there will be an excess of pore pressure in the sample (the pore pressure will be higher than the back pressure). Once the consolidation is started the excess pore pressure in the sample will start to dissipate as the consolidation process drains of water from the sample decreasing its volume. Once this process is complete (the sample has stopped changing in volume) the pore pressure will be at or very near the back pressure level and pore pressure will be used to calculate the effective stress conditions the sample is under. 100% dissipation of excess pore pressure is not always possible so most standards suggest a minimum dissipation of 95% is achieved before the consolidation process is stopped. Note during consolidation σ3 is the same as σ1. In the shear stage the axial force (σ1) is gradually increased whilst the confining pressure (σ3) is maintained until failure happens. This is the maximum shear force the soil can take. This stage of the test is also commonly referred to as load stage, compression stage or shearing to failure stage. During the shear stage the drainage conditions that are applied to the sample will determine if a drained or undrained test is performed. If the sample is not allowed to drain this is an undrained test, the sample will not change in volume during this test but will change in shape. If drainage is allowed, water will drain from the sample during the test, allowing the volume and the shape of the sample to change. In a CU (undrained) test, pore pressure changes (U) are allowed to take place and are measured. In a CD (Drained) test drainage is allowed to prevent pore pressure changes happening. In this type of test the volume change of the sample is measured during the shear stage. From this stage of the test, as well as the shear strength being determined, the values of cohesion (c’) and phi (φ’) can be determined using Mohr circle and stress path plots. 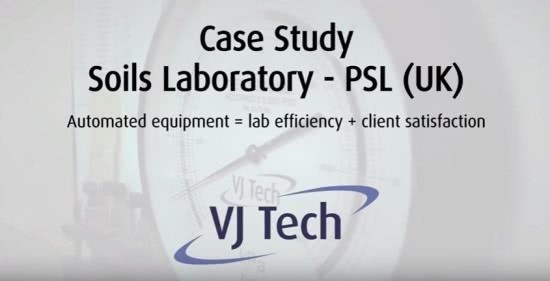 Please take a look at this case study to see some of the advantages of the system and what VJ Tech can offer. The following text books helped put this document together. VJ Tech would recommend these books to any technician or laboratory undertaking triaxial tests. The books provide an in-depth understanding behind the theory of the test and also the testing procedures including quality control and analysis of the results. To purchase this book please contact the VJ Tech Sales department (sales@vjtech.co.uk). 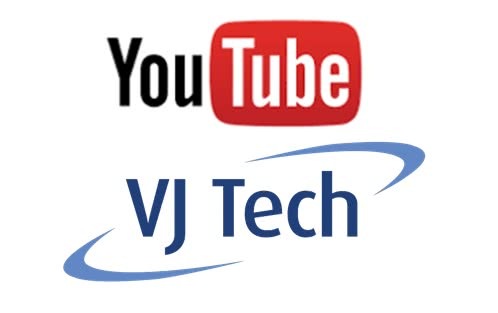 VJ Tech also offers a training course and/or additional information on the subject matter. 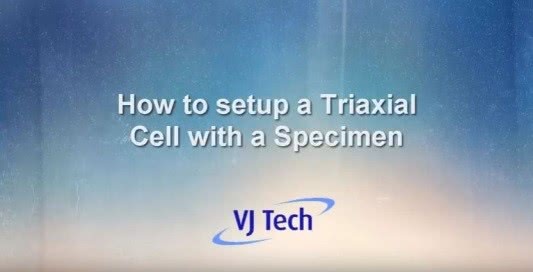 For more information please contact service@vjtech.co.uk or visit our triaxial testing play list on YouTube.